If there was ever a vehicle desperate to be slammed, it’s the Audi A4 B6/B7 platform. The A4 comes standard with muscular fenders that leave enough space for seriously wide tires, making it the perfect candidate for an Air Lift Performance suspension. If you crave the lowest look and the ultimate in handling performance, look no further! In order to drop the Audi A4 4.5” from stock, we paired with our smooth-riding, double-bellow bags with monotube dampers, which offer 30 levels of adjustability. This allows you to change the damper setting all the way from super soft up to a stiff performance set-up, all at the convenient twist of a damper adjuster. For the rear, we dropped you 5” from stock, using a double bellows air spring with a separate shock. These drops are not limited by the shocks, in the case of chassis modifications that are done to go even lower…and we know some of you will go that route. However, no cutting or body modification required to install this kit. 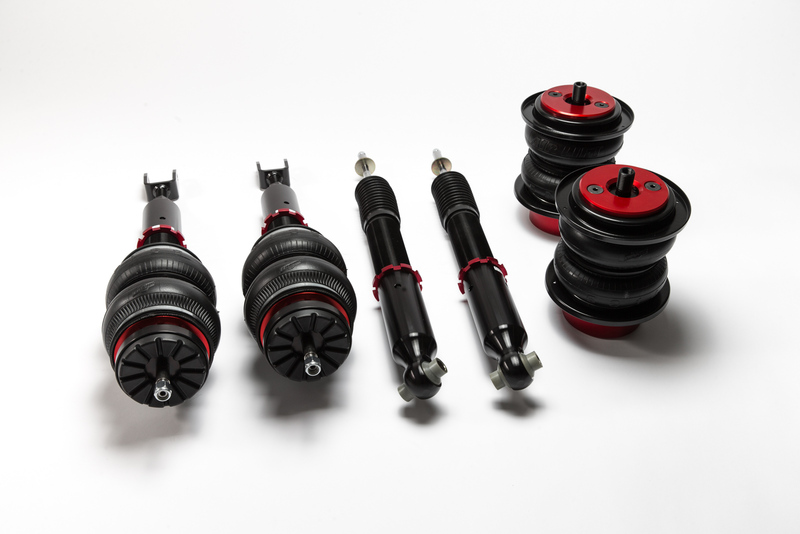 Each strut features a threaded body, allowing you to change the position of the lower mount on the strut and perfectly set up your vehicle. The Audi A4 B6/B7 (2004-2011) threaded-body kit is available with a range of air-management options, including our innovative 3H height + pressure sensing system. We used a state-of-the-art 32-bit processor and advanced height + pressure algorithms, then paired them with a full color controller, complete with built-in Bluetooth connectivity, in order to make 3H the most advanced air management system on the market. 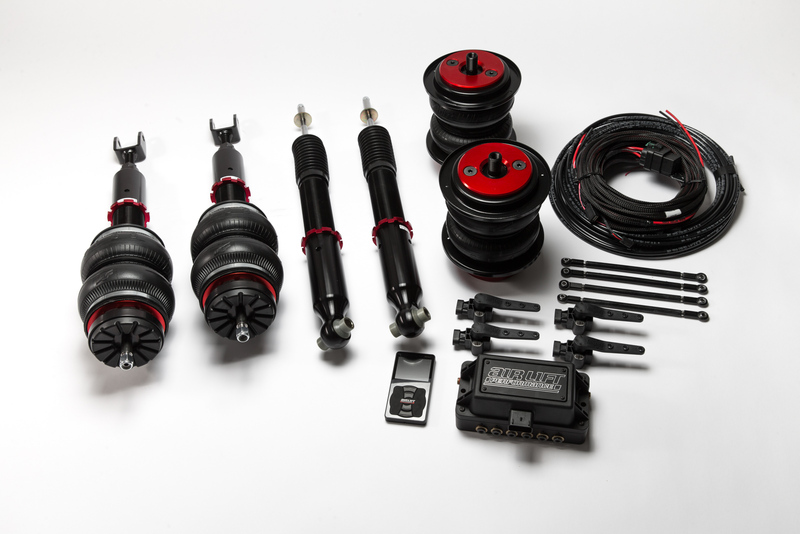 At the push of a button, this kit delivers exceptional ride quality for the B6/B7 platform. Clearing even the biggest road obstacles and steepest driveways is a breeze – there are no more wrenches or wrestling around with coils to get that lowered look. Now, all you have to do is tap a preset and your Audi is transformed with a sophisticated, lowered stance. Installation is made simple with our detailed instruction manuals. Anyone with the skill to wire a stereo and to swap suspension parts can have their car on the ground in only a matter of hours. Basic hand tools are the only things necessary to complete the job. Keep in mind that if you are looking for the ultimate low look, some modifications and fabrication will be required. We tested all the components of our kits to 1 million cycles (approximately 100,000 miles) on a hydraulic test rig, at temperatures from -30° F to 150° F. This test lab work, coupled with thousands of miles of on-road testing, not to mention a one-year manufacturer’s warranty and our exceptional customer service department, gives you a kit that you know you can count on to handle whatever the road throws down. Modifications Req. Front: Removal of front bump stop cup. Drill 3/8” hole for damping adjustment. Optional control arm notch, inner fender cut out for maximum drop.